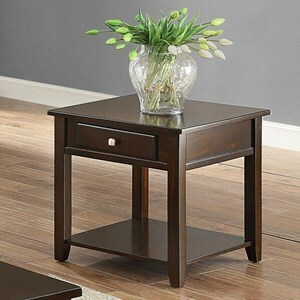 Placed on one or both sides of the couch, this sleek end table is an essential living room accessory. 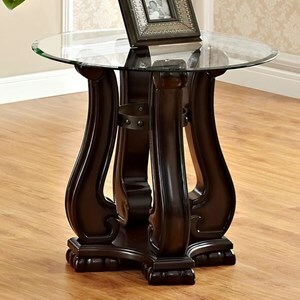 With surface and storage space both above and below, this round table is just what you need for setting and storing items while lounging in your living room. 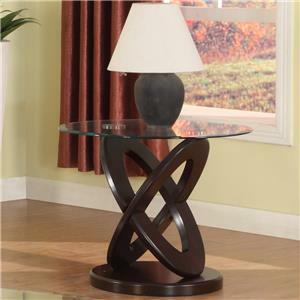 Finished in a solid dark-brown color and accented with a delicate glass top and carved-line molding, this stand is infused with the sleek, elegant presence fit for any contemporary-style living room. 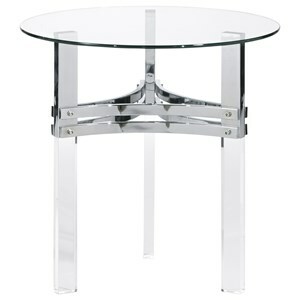 The Simone Glass-Top End Table by Crown Mark at Casa Leaders Inc. in the Wilmington, Long Beach, Torrance, Lakewood, Los Angeles area. Product availability may vary. Contact us for the most current availability on this product. 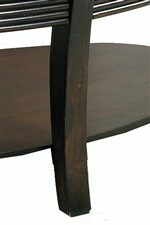 Wood & Finish Each piece of furniture is handcrafted using imported Asian hardwood and veneers. For a stylish and sensible living room ensemble, Simone's collection of occasional tables is just what you need to accessorize your room. With a combination of curved tops on sleek forms, this collection adds a soft elegance to a sharp style. 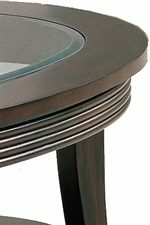 Finished in a solid dark-brown color but accented with clear glass table tops, Simone's collection is ideal for both formal or casual contemporary-style settings. With surface space both on top and below, you will have all the table and storage space necessary for lounging, working, and even eating within the comfort of your own living room. The Simone collection is a great option if you are looking for Transitional furniture in the Wilmington, Long Beach, Torrance, Lakewood, Los Angeles area. 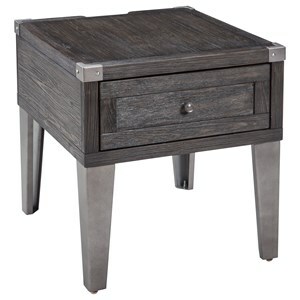 Browse other items in the Simone collection from Casa Leaders Inc. in the Wilmington, Long Beach, Torrance, Lakewood, Los Angeles area.